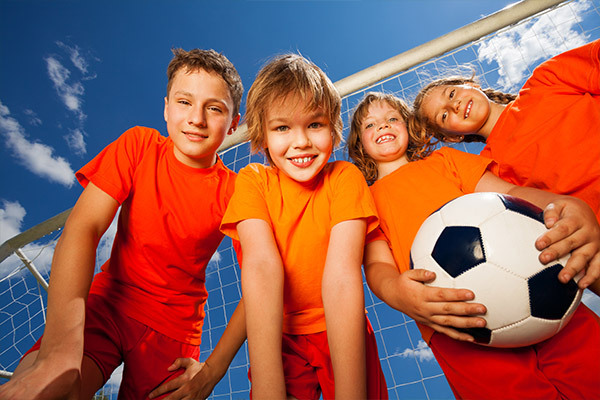 Almost 75 percent of families with children between the ages of 5 and 18 have at least one child who plays organised sports, either at school or on a community team. The benefit of learning to work together as a team, building camaraderie and participating in consistent physical activity is a good thing. However, parents need to pay special attention to the potential injuries that can occur at any time. Here are a few common injuries sustained by young people every day, along with advice on what you can do as a parent to minimise your children’s risk of suffering an injury. These symptoms can manifest for months and even years after a serious concussion. Many doctors and parents have also noticed abrupt personality changes following a serious sports-related head injury. Worse yet are the young athletes who get up, “shake it off” and continue playing after an impact on the field. Warning signs are silenced by adrenaline or endorphins, and since only about 5 percent of injuries that cause a concussion will actually “knock out” the athlete, they don’t realise that they’ve been seriously injured. Failing to get proper medical attention following a head injury can have disastrous consequences; while rare, a concussion can even result in death. It’s not only boxing that can result in concussions, any child involved in a sport that puts them in close proximity with their opponent(s) and/or team-mates is susceptible to this dangerous brain injury. 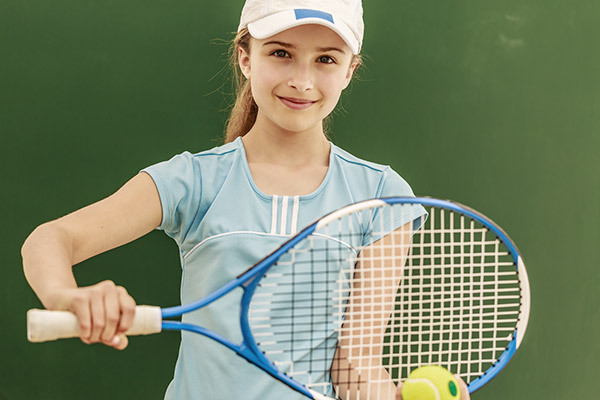 Sports that require your child to move one arm or leg repetitively over long periods of time (tennis and badminton are good examples) can actually cause repetitive stress syndrome (RSS) to their still-developing spine and extremities. The body was designed to move symmetrically. When we walk, we tend to swing both arms rhythmically as our legs move in counter-motion to our arms. This develops muscle tone evenly and keeps the spine in proper alignment. However, many sports require participants to use their dominant arm or leg repeatedly, discouraging symmetry in their body movements. Preventing RSS may be as simple as watching your child while they’re playing their chosen sport to see if they are using both arms and both legs equally. If their sport is inclined to have asymmetry, encourage them to introduce warm-up and warm-down symmetrical activities to provide as much balance to the body as possible. 1. Teach your child to listen to their pain. Athletes, whether professional or amateur, place a tremendous amount of stress on their bodies. The running, jumping, tackling and falling that is a fairly frequent part of many competitive sports tend to result in sprains, strains and chronic injuries. These injuries can cause considerable pain, typically for only days, but sometimes for months. The concept of pain should be taught to children as an important warning signal from the body that something is wrong and should be checked out. Taking prescription or over-the-counter pain relievers effectively masks the warning signal, which means children will tend to overextend themselves, resulting in a worsening of the underlying problem. This is why forward-thinking coaches, athletes and doctors (and parents) have come to realise that painkillers are not the answer. Painkillers merely cover up the pain and deceive the athlete into believing they can do more than they actually should. Whether providing just prevention education, structural adjustments or ancillary care, your Chiropractor has a role to play with young athletes. Chiropractors will typically take more time to assess the injury site, provide appropriate care and, most importantly, recommend or teach how to prevent future injuries. Chiropractors can provide extremity adjusting, stretching and rehabilitation and even offer nutritional advice to assist in performance and injury recovery. Rather then waiting for an injury to take place, why not introduce your young athlete to the benefit of a check up? After all, that’s what it’s all about: keeping them safe and able to participate in the activities they most enjoy!